Can Facebook stand tall against Big Brother? 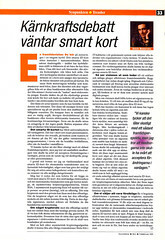 Op-Ed in VentureBeat 11 Dec 2007. As social networks like Facebook try to expand into China, they will face the same decisions as Google and Yahoo before them — do they let the government access their data or do they refuse and risk being banned? Facebook will most certainly be leaned upon by governments, because of its profligate data on users. Facebook’s response will be key for the future of social networking. What will they have to do in order to stay in China?...."